Drupal CDN integration will help minimize page loading times, reduce costs, improve SEO rankings and boost customer satisfaction. If you’re operating a website that you wish to make a profit from, it first has to meet the modern quality standards. This doesn’t only concern design and coding but also loading speed, uptime, responsiveness and the seamless navigation from anywhere in the world. Whether you’re running a blog, e-commerce site or an online journal, with each new piece of content added, you’re getting a little closer to issues related to mismanagement of digital content, slow page loading speed and unreliable server uptimes. This is where CMS and CDN will help you. A content management system (CMS) is a software application used to produce and manage digital content on a website. It allows any person with next to zero technical skills, to place all kinds of content – business documents, user guides, videos, marketing materials, etc. – on a website and track it without any problems, eliminating the need to use the services of a programmer. From the customer’s perspective, the CMS templates allow users to quickly navigate your website by keywords, search terms and publication dates. In addition, the software stores and keeps track of each user’s browsing information (what search terms did they use, which publications did they spend the most time on, what are their interests, etc. ), allowing business owners to use this data to create highly personalized marketing and advertising campaigns. This data is commonly used to tailor ads and digital content to the specific person’s website behavior and come up with suggestions that they will find most interesting. For instance, if you’re running an e-commerce store and a visitor searches for “winter clothes”, they will get ads and suggestions related to their search term rather than “electronic devices”. First of all, Drupal is a free, open source software, meaning that anyone can download and work on it, and share their experience with others. It operates under a distributed General Public License and there are no licensing fees involved. What really sets Drupal aside from other CMS platforms like Magento, WordPress and Joomla though, are the virtually endless customization options. If you’re a skilled developer, you can achieve pretty much any design, while being able to deploy features and functionality easily. Facilitating rapid development – As a true Web 2.0 application, users can easily make any modifications after the deployment of the Drupal website. This feature makes adjusting, adding and removing various elements according to feedback or business data a breeze. 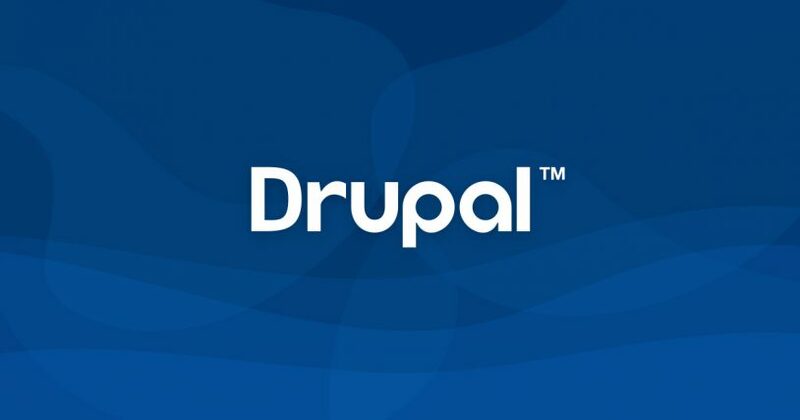 An enterprise-class software – Drupal can easily be integrated with any system that has an API, service or database to connect to. Furthermore in all terms that classify a software as a “good one” – scalability, reliability, interoperability, flexibility, security, availability of resources, easy management – Drupal is second to none on the market. Extensive API support – All of the common applications that businesses utilize in their marketing efforts – Facebook, Twitter, YouTube, Google Analytics, etc. – support Drupal and offer in-depth documentation and guides. Users are free to create their custom modules and they will have absolutely no shortage of information regarding any matter in the process. SEO friendly – Organic traffic generates the most amount of qualified leads for any website out there, which makes SEO vital for success. Having an SEO-friendly website that helps search engines understand, crawl and index pages faster is a must, and Drupal offers enormous flexibility when it comes to displaying content in a way that search engines prefer. Mobile support – Ever since mobile traffic surpassed desktop in February 2014, businesses have been pretty much forced to respect the new mobile market and make themselves available on smartphones and tablets. Drupal takes this very seriously as well and offers near-perfect mobile optimization and configuration options. The internet has done a tremendous job of opening countless opportunities for conducting business worldwide, but even so, it does have some limitations. While your website is available to any visitor around the globe, it is located on a single physical server in some part of the world and can’t effectively handle too many simultaneous requests at the same time. On top of that, as the visitors’ geographic location gets further from your host, things start to get progressively worse. For a visitor from Canada, Asia, America or Australia, your content needs to cover a lot of space before it can be displayed. This negatively affects page loading times and hurts user experience, which is a crucial factor for customer retention. Moreover, when a high number of visitors located far away visit your website simultaneously, the host server struggles even more, resulting in long queue times and even server crashes in many instances. This is unacceptable by all current standards in any industry. This is why a CDN is essential. A CDN is comprised of a high number of servers located around the globe, which are used to cache and store a copy of your website’s static and dynamic data. Equipped with very fast SSD drives, these servers deliver the content to visitors from a location closest to them, allowing you to maintain current standards of under 2 seconds page loading times. Moreover, thanks to having your content available in multiple places, you are pretty much guaranteed to have a 100% server uptime. When a CDN server crashes, another one instantly steps up to take its place and delivers the content. CDN Drupal integration is beneficial on many fronts, but most importantly, it allows you to deliver static and dynamic content to any website visitor around the globe quickly and effortlessly, at an affordable cost. Created to make fast, reliable, affordable and secure CDN services available to everybody, CDNsun has been helping businesses improve their website performance since 2012. With a global network of over 50 remote locations spread across North America, South America, Europe, Asia and Oceania, our servers are equipped with the latest generation SSD drives, truly pushing website performance to its limits. Drupal CDN integration is really easy with CDNsun. Here is a step by step guide on how to perform a Drupal CDN integration. If you need further assistance, feel free to contact our 24/7 customer support team who will be happy to help you resolve any issue you may have.